South Sudan President Salva Kiir confirmed on Friday he is more than ready to make peace with rebels by inking the final peace deal on Sunday in the Sudanese capital. Kiir said he will sign the Khartoum peace deal after holding talks with the visiting Sudanese Foreign Minister Al-Dirdiri Mohammed Ahmed in Juba in wake of the government and the opposition groups inking the preliminary power-sharing deal in late July. “We are ready now to solve our problems. I believe that this agreement will continue to be implemented within the spirit and letter. Whoever signs this agreement will be committed to it,” Kiir said, adding that this will mark a departure from past agreements that have collapsed. He disclosed that both sides signed the 2015 peace agreement amid multiple reservations besides intimidation from the international community but expressed hope of successful peace this time with mediation efforts by Sudanese President Omar Al-Bashir backed by leaders under the East African bloc IGAD. The two warring parties clashed in July 2016 forcing Riek Machar to flee Juba into exile, hence weakening the peace agreement which has been resuscitated by IGAD. “The 2016 conflict was forced on us, this is why when we signed the agreement I signed with 26 reservations and the agreement collapsed before us. This agreement I am sure will not collapse because the people of South Sudan have agreed to make peace between themselves,” Kiir said. The transitional government under the latest peace arrangement will have five-vice presidents. Rebel leader Machar will return to take up his former First Vice President post. The transitional Parliament will comprise 550 lawmakers, 332 from Kiir’s side and 128 from Machar’s faction. President Kiir also said the remaining outstanding issues will be finalized with his rivals as soon as he arrives in Khartoum. 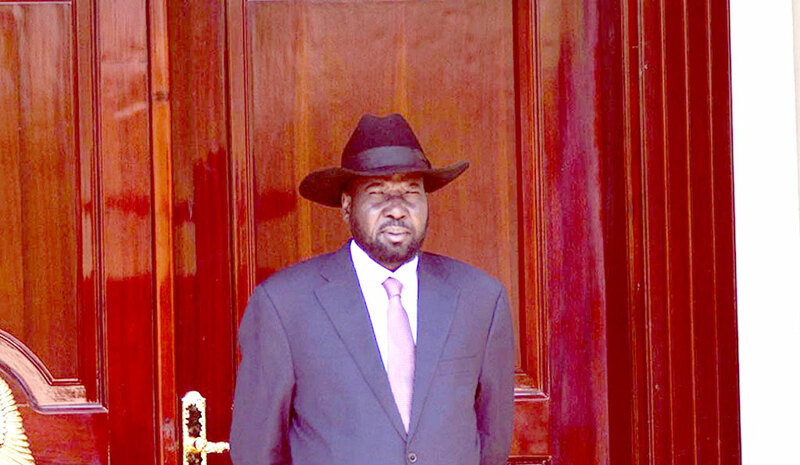 “These outstanding issues that are not yet resolved we shall resolve them as soon as I land in Khartoum,” said Kiir who added that the agreement when finalized will hold due to fact it was not mediated under pressure and intimidation.